This includes some (not all) of the items in the Creative Clutter mod as a mod authors resource for those making player homes, Sim Settlements Addon Packs or other mods. 1. Credit to the original creator is required. All items are in folders by mod author name (Nexusmods names). The only exception to this is collision on the doilies was created by Casputin, so please credit him as well. 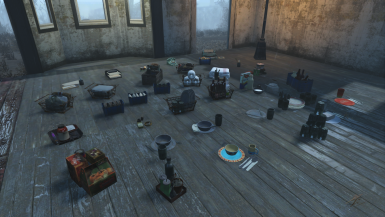 While not required, a link to Creative Clutter from your mod would be nice! This means you may not earn money on this content. This content must remain free, even if Bethesda decides to change the rules in the future and allow for paid mods. See below for additional details on donations, donation points, Patreon, etc. This page gives you permission already. Unless you're requesting something significantly out of the ordinary or in violation of other requirements you don't have to contact us for permission to use these items. However we wouldn't mind if you sent us a link to your mod after you've uploaded it so we can see what you've done with it! We don't mind if you wish to improve the meshes in some way such as better collision, etc. While not required, we would like to request that if you improve on one of these meshes that you allow us to use the improved mesh in our Creative Clutter mod so that others can enjoy it too! We will of course give full credit to anyone that improves a mesh and allows us to use it in Creative Clutter. Permission has been REVOKED by all authors of this mod to the author of "Diamond City the Great Green Jewel", Awarhero, to use our assets in his mods as of October 19, 2017. Other mod authors who were at one point involved in that project are not subject to the asset ban. August 25, 2017: You may NEVER include this mod in mod packs or sites like Mod Drop. Juicehead and MxR Mods may never use any part of this mod or pictures in any of their Youtube videos. https://www.youtube.com/user/MyTopGame Known commonly as "ESO"
https://www.youtube.com/channel/UCWK940VPOyd0P32FgPdz2Jg The user named "Ultimate Immersion"
https://www.youtube.com/channel/UCHu11vstHB9CFFCdKbjrr3A the user named "E487"
Nexus Donations/Patreon/Nexus Donation Points/Creation Club/Etc. Having Nexus donations turned on your mod that uses assets from us is acceptable provided our content is not the majority of your mod. Please do not advertise Patreon (or similar service) accounts on a mod using our assets (having a Patreon is fine as long as it is not advertised on that particular mod, any other of your mods without our content is fine to advertise your Patreon). If you wish to opt your mod into the donation points system you may do so provided our content is a minority portion of your mod or you've added a significant amount of transformative work. If you aren't sure what qualifies on this point feel free to double check with us. You may never sell our work to Creation Club or put it behind a paywall of any sort. Casputin for doily collision. All other items are already organized by mod author folder. This is NOT A PLAYABLE MOD. If you want a playable mod use CREAtive Clutter instead. Warning: The clothing rack mesh is broken and will cause the game to CTD. Don't use it until I have time to repair it. The screenshot available shows a sample (not the full content) of the items included in this package. These items are included AS IS and unless you find a game breaking bug no support will be offered. All items have some sort of collision but not necessarily perfect collision. This means you may not earn money on this content. This content must remain free, even if Bethesda decides to change the rules in the future and allow for paid mods. 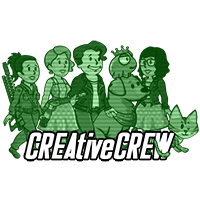 Update June 13 2017: None of this content may be used in Creation Club projects without additional written permissions from the creator of the content. 6. Update August 25 2017: Certain Youtubers are banned from using any part of this mod in their videos. See permissions tab for more detail.